Most injuries or issues that present to an Orthopedic Doctor do not require surgery! As an Orthopedic Doctor since 2001, Dr. Steve Meyers has had the privilege of helping patients maximize their results through non-operative care and procedures. “Our bodies have an amazing ability to heal,” says Dr. Meyers, “And it is my mission to help each patient get back to being pain-free without surgery.” With thorough examination, imaging and listening intently to his patient’s story, Orthopedic Specialist Dr. Meyers provides each person an accurate diagnosis. From there, Dr. Meyers explains all available treatment options and, together with the patient, develops a treatment plan that will restore, protect and improve the patient’s level of function and quality of life. With an integrated physical therapy clinic on site, Dr. Meyers’ ability to monitor and collaborate on each patient’s recovery plan is enhanced. The trend in orthopedics is for a orthopedic doctor to exhaust all non-surgical treatment options in advance of surgery. That’s because the more invasive (surgical) the treatment option, the more tissue is disrupted and there is more potential for more complications than with therapy or an injection. So, if you are wanting a quick fix to your pain, keep in mind that the best sports medicine and orthopedic doctors will prescribe non-surgical options for you to try first before surgery. 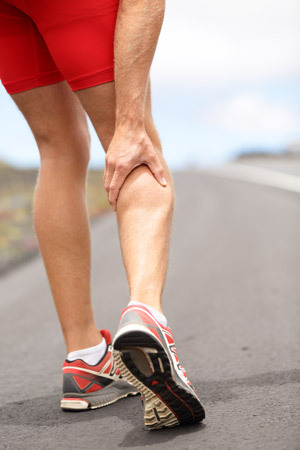 With sports medicine problems involving strain, sprain or overuse syndrome and most fractures, non-surgical treatment options like bracing or casting, anti-inflammatory medication, ultrasound guided injections or physical therapy can typically provide relief of symptoms and cure the problem. For Dr. Meyers, a referral for surgery is typically the last option. Types of issues that may require surgical referral include displaced fractures, young patients with a torn anterior cruciate ligament or meniscus cartilage, full thickness tears of the rotator cuff and pinched spinal nerves not responding to conservative care. Dr. Meyers understands that you are eager to get back to activity and will help you reach that goal. Keep in mind that he is recommending the best long term options for your care. He is your partner for the long haul!